Fall Lawn Care – McLeese Landscapes, Inc. 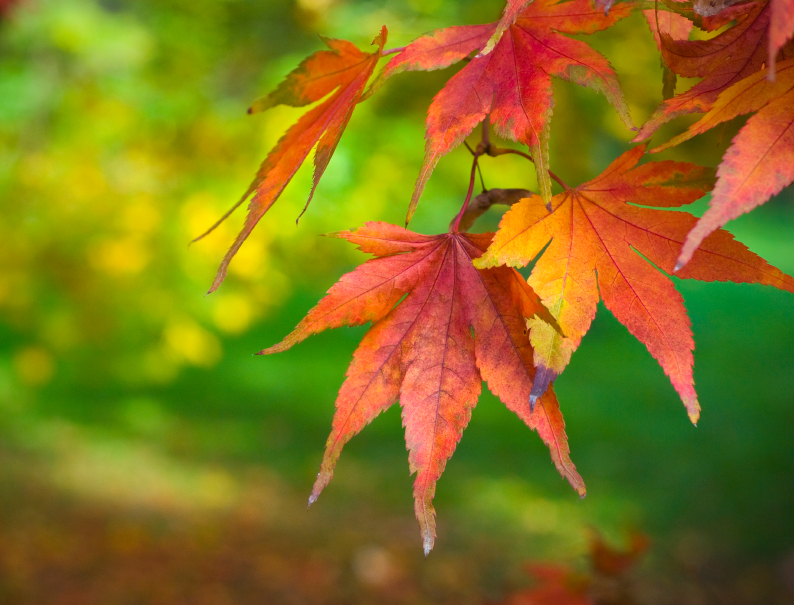 Contrary to popular opinion, fall is the best time of the year for lawn care. Fertilization, weed and thatch control, establishment of new lawns, and renovation of poor quality lawns should be done over the next few weeks. The best time of the year to fertilize your lawn is early fall. Northern Illinois lawns are usually a combination of Kentucky bluegrass and perennial ryegrass. These cool season grasses grow rapidly in spring and fall. If you only fertilize once a year, the best time to do it is around Labor Day. For a moderate quality lawn, apply fertilizer May Day and Labor Day. High quality lawns should be fertilized May Day, Labor Day and Halloween. Very high quality lawns that are watered all summer may also be fertilized around Father’s Day. Top quality lawn fertilizers contain slow-release or controlled-release nitrogen. Look on the label for slow-release forms such as ureaform, sulfur-coated urea, milorganite, and IBDU. These forms stimulate uniform growth over a period of time and are less likely to burn the grass. However, do not expect the quick green up caused by fast-release forms. Slow-release formulations are more costly but worth the price for the improved health of your lawn. In early fall use a regular lawn fertilizer with N-P-K ratios of 3:1:2 or 4:1:2. For example, a bag may list 21-7-14 or 32-8-16. Amounts don’t need to be exact but should be similar to the suggested ratios. Hold off on applying “winterizer” fertilizers until late October or early November. A little math will show you how much fertilizer you need to put on the lawn to get 1 pound per 1000 square feet. Divide 1 by the first number in decimal form (percent of nitrogen) on the fertilizer bag. Multiply that by the square footage of your lawn, then divide by 1000. The answer will give you the total pounds of fertilizer you need to apply to the lawn. Here’s an example: you have 15-5-10 fertilizer and a 7000 square foot lawn. One divided by 0.15 equals 6.7. Multiply 6.7 by 7000 for 46,900. Then divide by 1000 for the answer of 46.9 or 47 pounds. So you would need to put 47 pounds of 15-5-10 spread over the entire lawn to properly fertilize it. September and October are the best months to control perennial broadleaf weeds like dandelions and clover. In autumn the weeds prepare for winter by pulling nutrients and starches from their leaves into their roots. By doing this, they also draw herbicides into their root systems, thus more effectively killing the weed. Actively growing grass will quickly fill in the bare spots created after the weeds die. Thatch is a build-up of living and dead grass roots and stems between the soil and green grass blades. The amount of thatch in the lawn may be checked by cutting three to four inches down into the grass with a shovel and lifting up a piece of sod. Thatch looks like a thick tangle of dark brown roots above the soil level. If thatch is greater than 1/2 inch, the lawn should be core aerated or dethatched in fall or spring. In lawns with a thatch layer over 3/4 inch thick you should aerate then topdress with a thin layer (1/8 to 1/4 inch) of soil or compost. Topdressing adds microorganisms that help breakdown thatch. The ideal time for planting grass seed to either establish a new lawn or renovate a poor quality one is the middle of August to the middle of September. During September grasses grow rapidly in the cool fall weather and have less competition from germinating weeds. Whether seeding or sodding, the key to long term lawn quality is proper soil preparation. Soil should be tilled six inches deep. Incorporate organic matter, such as compost or peat, when tilling. If soil test results indicate a soil pH problem, sulfur or lime should be added at this time. After tilling smooth with a rake and apply starter fertilizer. Top quality grass seed will germinate better and be more disease resistant over time. Newly seeded lawns must have adequate moisture for seed germination and seedling growth. The seedbed and later seedlings must be kept moist for six weeks.